Massage Therapy can also help treat/calm other ailments, such as: Arthritis, TMJ, Bronchitis, Insomnia, Depression, Back Pain, Myofascial Pain, Carpal Tunnel Syndrome, Sports Injuries, Headaches, and Scar Tissue Reduction. SWEDISH MASSAGE The most common form of massage, Swedish mainly relaxes the muscles, eases aches and pains creating a sense of calm peace and serenity. 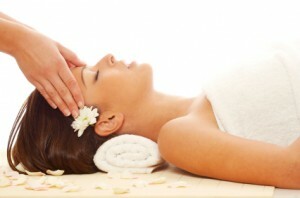 DEEP TISSUE: A deeper for of massage that works with layers of tissue to relax, lengthen and release holding patterns. SPORTS: Using many of the same techniques as in Deep Tissue, Sports massage can release muscle tension and restore balance to the musculo-skeletal system. This may help athletes prevent injuries caused by overuse. Call (916) 686-1477 to schedule your appointment!